John Stones celebrates England's win over Colombia. 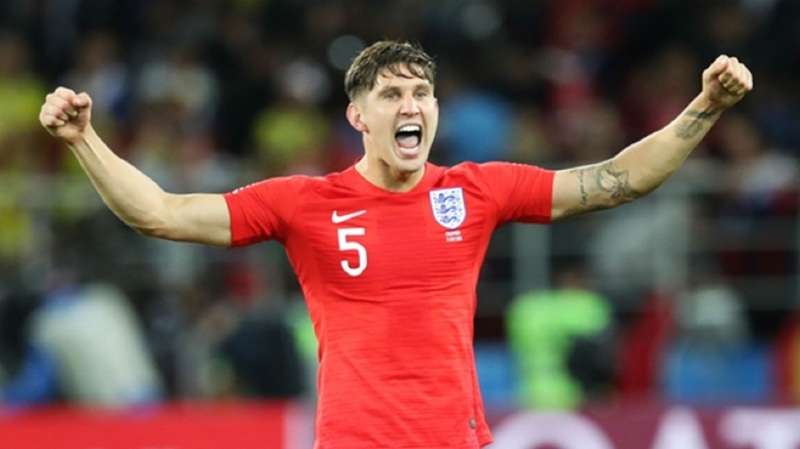 John Stones is continuing to dream of World Cup glory but knows Sweden present a formidable challenge for England in Saturday's quarter-final in Samara. Janne Andersson's men were the first of these two sides to secure their last-eight spot with a 1-0 win over Switzerland on Tuesday, courtesy of Emil Forsberg's deflected second-half strike. 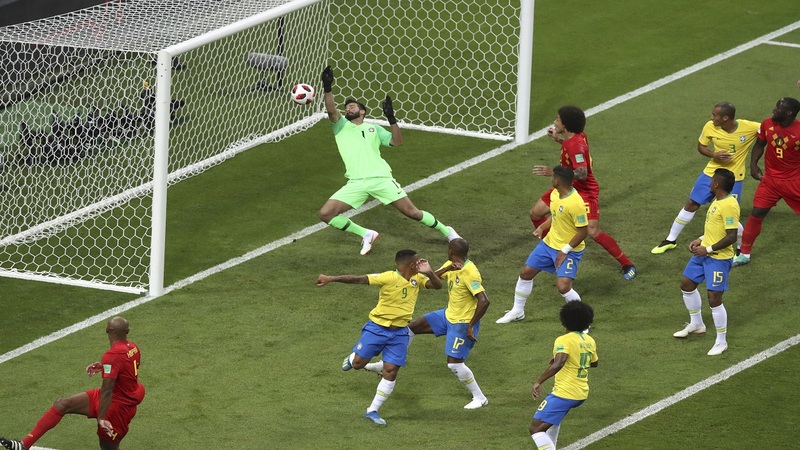 A few hours later, the Three Lions banished their penalty shoot-out hoodoo by defeating Colombia on spot-kicks following a feisty 1-1 draw in Moscow. After disappointing showings in the past two editions in South Africa and Brazil, England's progress to the quarter-finals has whipped the nation into a frenzy of optimism and fantasy. Stones, who impressed at the heart of defence against Colombia, is daring to dream but is wary of a supremely well-drilled Sweden side. "I've said it from the start. I'd love to win the World Cup. I've dreamt about it," he told a media conference. "That's what we want to do. We've come here to try and win it. "I'd love to win a World Cup, England would love to win a World Cup. It's been a long time since we last won it. We want to make people proud back home, proud of the England team. "We're one step closer to doing that but we still know that we've got games ahead of us. We should be solely focused on this Sweden game, one step at a time and take it from there. "There are no easy games. I think if you say it's an easy game in a quarter-final of a World Cup then you are pretty stupid to say that. They've got a lot of quality. "We show them the respect we do to every team, there are still a few days until the game but we do our research on them. Make sure we take advantage of every opportunity and see where it takes us." England have won just three of 13 competitive matches against Nordic nations since last reaching a World Cup semi-final in 1990, although some supporters still see Sweden as an inferior opponent. 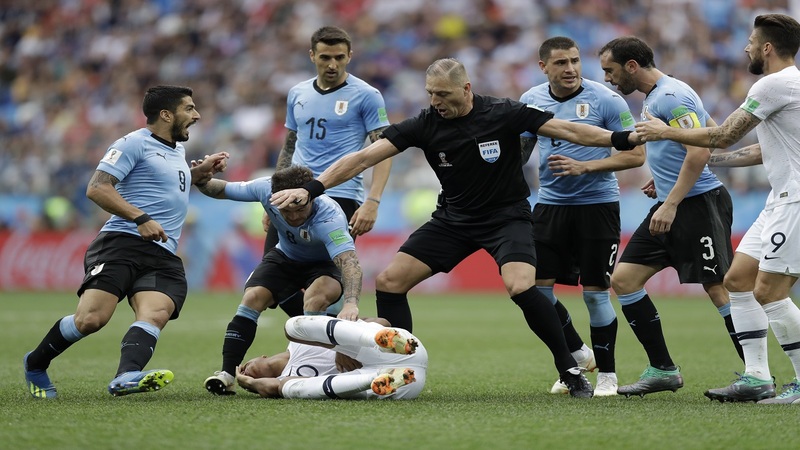 "I read something about that," said Sweden captain Andreas Granqvist. "Something about 99 times out of 100 they would beat us. Well, it's fun for England to have that sort of confidence. Let's play the game and see how things go. "We know Sweden usually play well against England. We have had good results against them - so to me it doesn't really matter." Defender Granqvist will be without suspended right-back Mikael Lustig beside him, while England's primary concern centres around Jamie Vardy, who is a doubt with the groin injury that prevented him taking a penalty against Colombia. Yet to get off the mark at this World Cup, but England should not treat lightly a man who has scored 98 goals in 137 appearances across the past five league seasons for Panathinaikos and Al Ain. The likes of Harry Kane, Raheem Sterling and Jesse Lingard earn much of the praise as England's premier attacking threats, but wing-back Tripper is having a superb tournament. The Tottenham man has been defensively sound and his delivery from both set-pieces and open play is a real weapon. - This will be the 25th meeting between these sides. England have won eight to Sweden's seven, with nine draws. - Both of the previous World Cup meetings between Sweden and England have finished level, 1-1 in 2002 and 2-2 in 2006 (both in the group stages). - England have only progressed from two of their eight previous World Cup quarter-final appearances, doing so in 1966 and 1990. - Harry Kane has scored with all six of his shots on target for England at the World Cup, including three penalties – the last player to score three at a World Cup tournament was Bulgaria's Hristo Stoichkov in 1994.